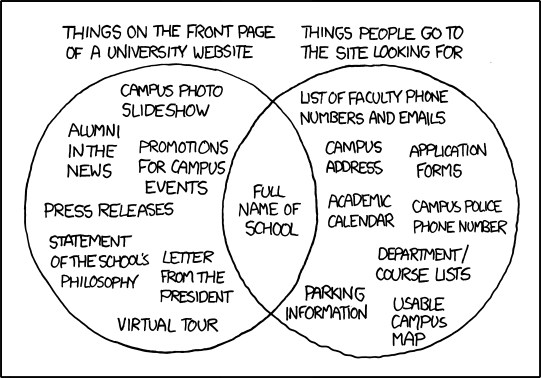 But even then, some colleges’ home pages are saturated with features that do not so much reflect guesses at what visitors need, but what various campus interests want. Greenfield said “home page politics” — different departments and personalities jockeying for position — have a strong influence on what an institution’s site ends up looking like. After all, he said, if a president says he wants a letter and a mission statement out front, what Web administrator is going to say no?